I enjoy the city life; I always have | the active spirit. Shortly after, I started spiraling down the interwebs, in search of a vinyl version of the EP. On my journey, I noticed Emily King was coming to Atlanta soon for a show at Variety Playhouse. I saw her at this theater years ago, and it was my first time going solo to a concert, so I have fond memories of the experience. 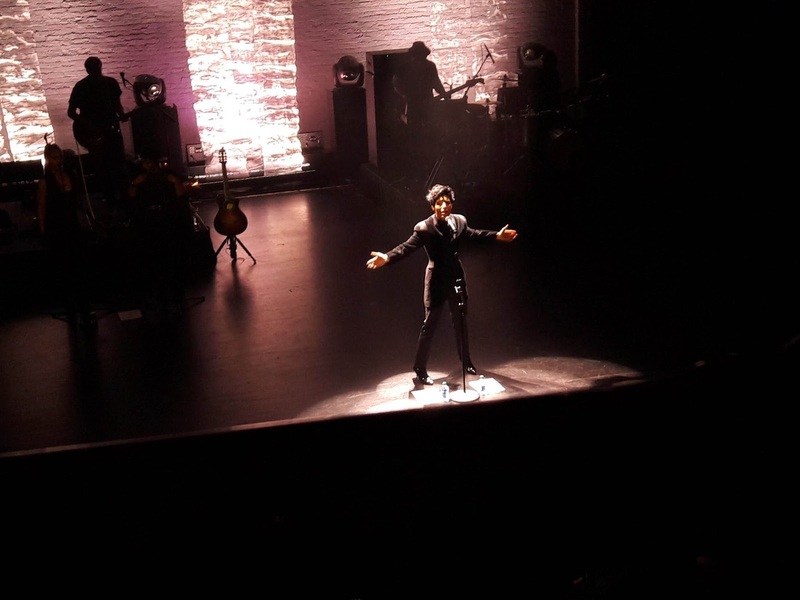 I considered going again (solo) but then I saw she was coming to the Apollo Theater in NYC. A few minutes later I sent a text to J: "Hey! Wanna go to New York next week?" 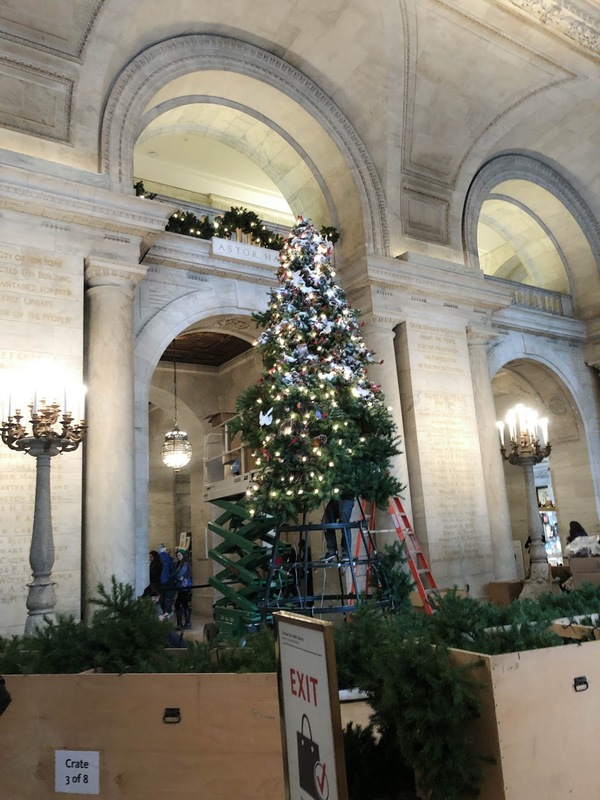 to which he replied, "Lol ok."
I had been mentally itching for a trip to the city all year, but it never felt like the right time. After a quick google search, I found $200 roundtrip tickets for the weekend of her performance, which means the right time was clearly presenting itself. Won't He do it?! And so, I reconciled our budget to work in an impromptu getaway. 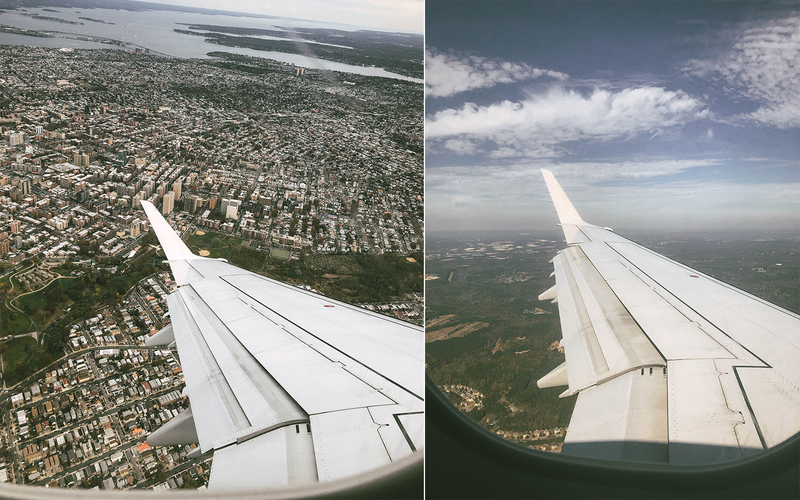 Exactly one week later, we flew into Laguardia Airport for a whirlwind weekend in the city that never sleeps. It started snowing a few hours after we got into town. 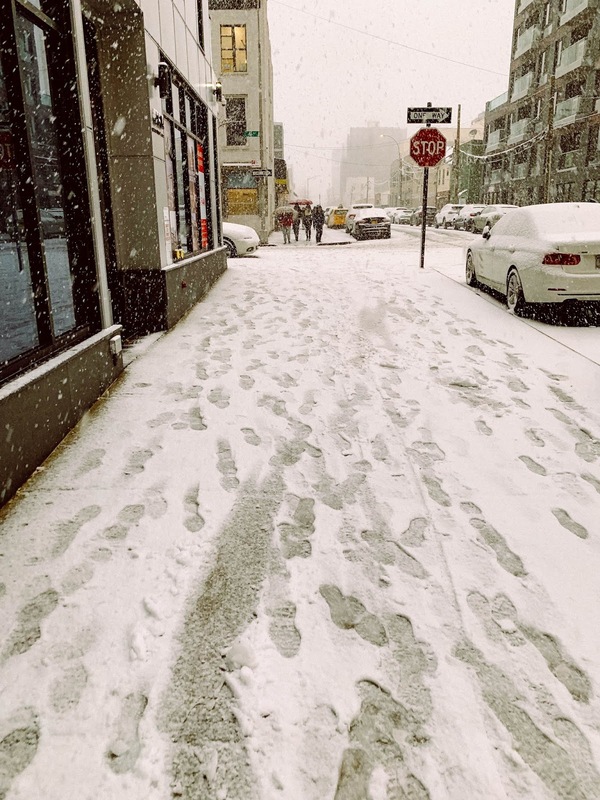 It got pretty intense through the afternoon, and by the time we were walking back to our hotel for check-in, there was at least an inch stuck to the ground. We took a quick nap, munched on some snacks from Whole Foods, layered up on the clothes and headed back to the subway for the concert. We stopped for dinner at Harlem Shake before the show. 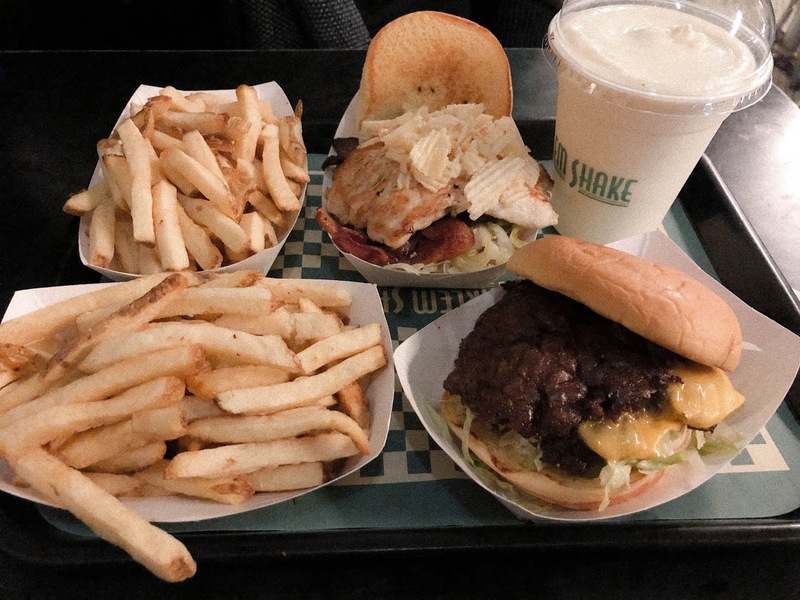 The burgers were easily better than Shake Shack, so I'm glad we didn't go there instead. The show was absolutely phenomenal. Ms. King's stage presence gets better and better each time I see her perform. 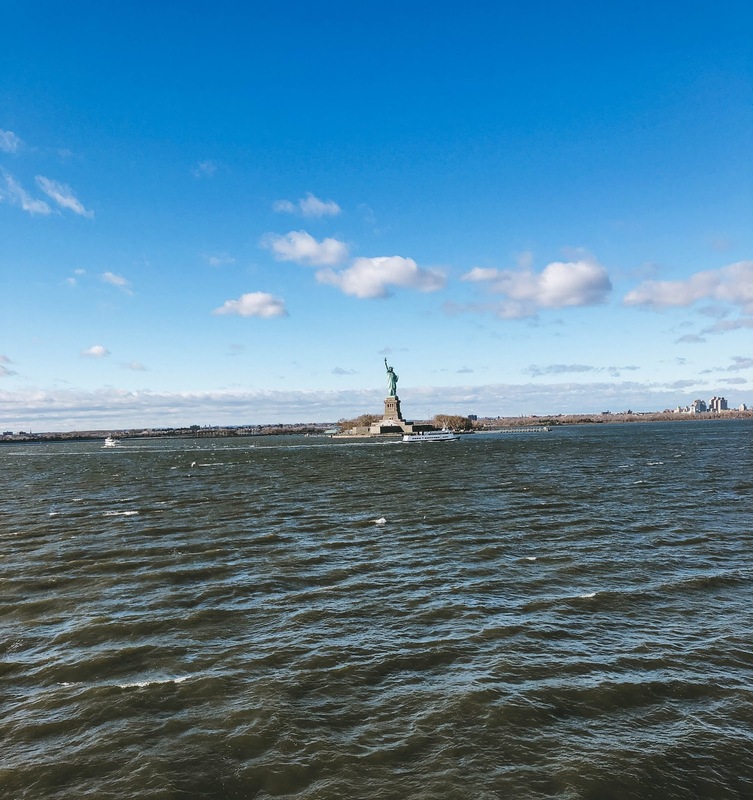 The next day we caught the (free) Staten Island Ferry so J could see the Statue of Liberty. 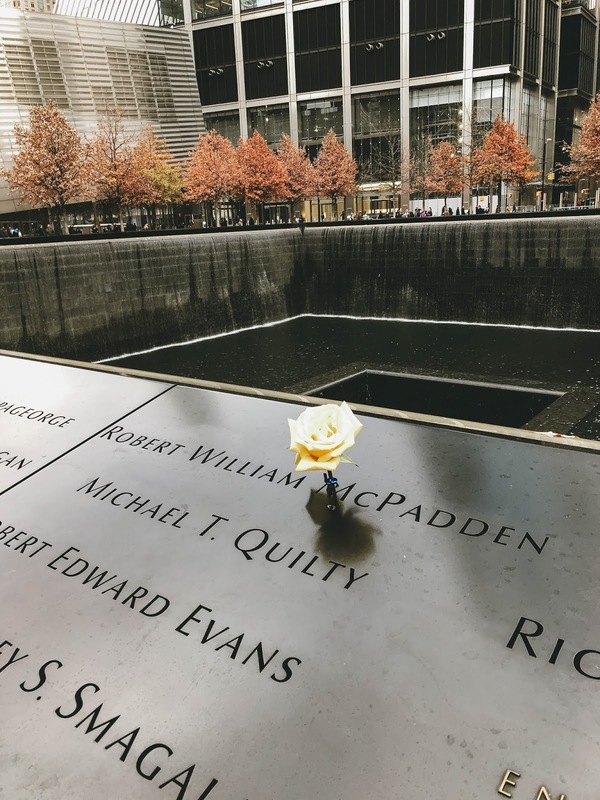 We also visited the 9/11 Memorial. One of the fountains was turned off because it was too windy, but other was still running. The memorial keepers place flowers in a person's name on their birthday - such a sweet gesture. 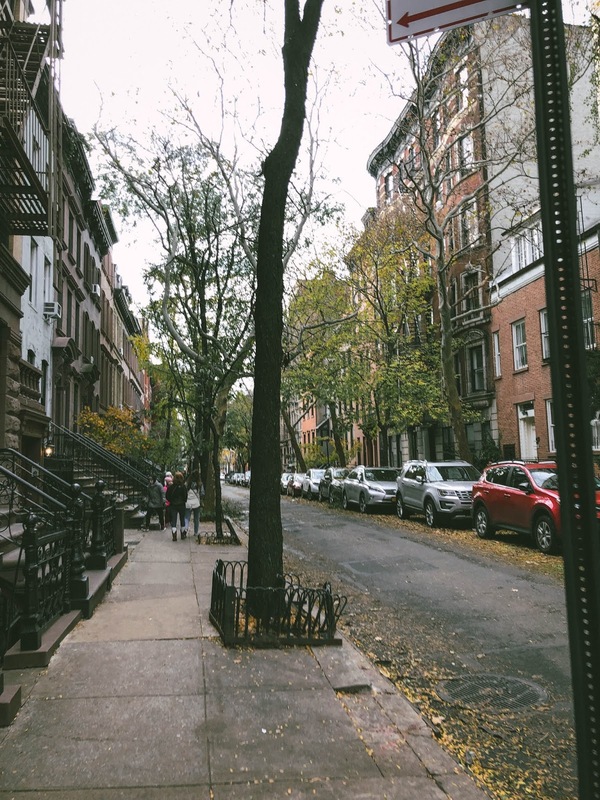 Later we wandered through Chinatown, Little Italy and NoLita. 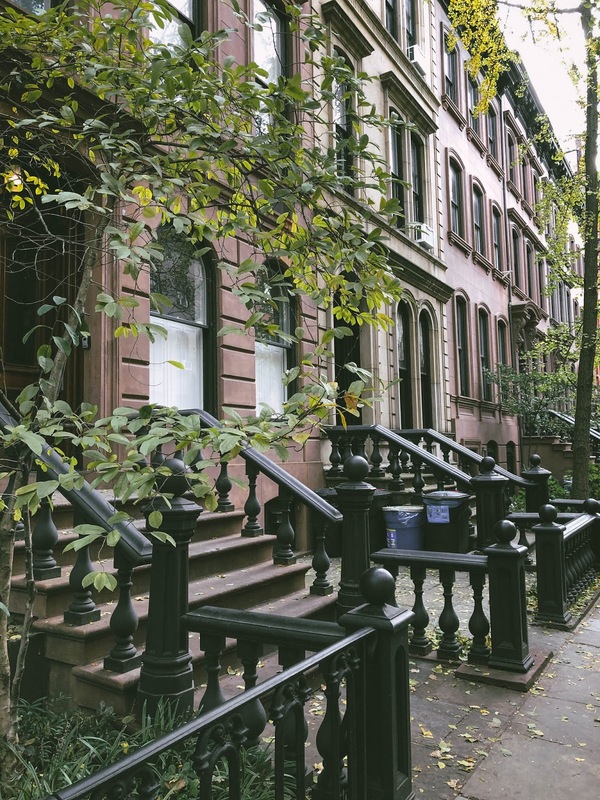 The neighborhoods in Lower Manhattan have such vibrant character. 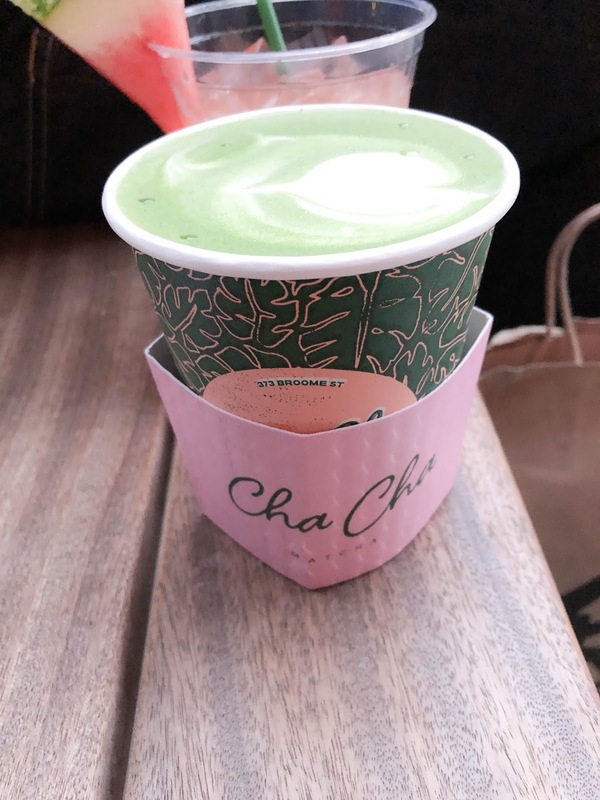 I stumbled upon Cha Cha Matcha and had to stop in for a pick-me-up. 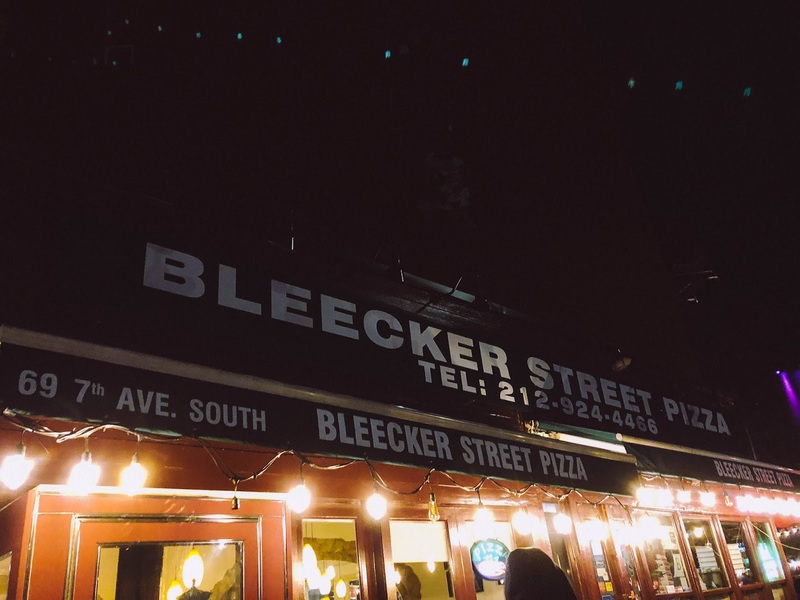 We closed the evening with a couple slices from Bleeker Street Pizza, of which there are no photos because I was too hungry to stop and think about taking a picture. Such was the case for most of the trip. With all the walking and running to catch the subway, we were already thinking about our next meal before finishing the last one. 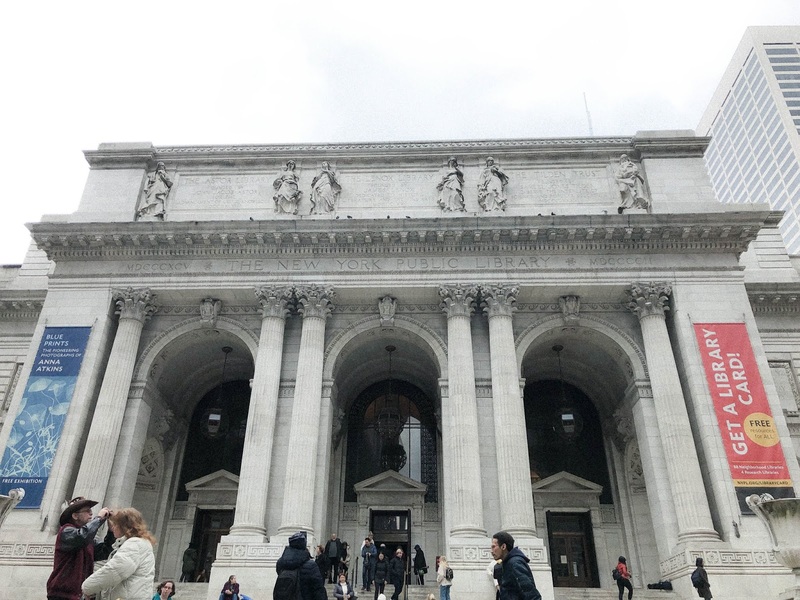 On day three we took the (free) morning tour of the New York Public Library Midtown Branch. 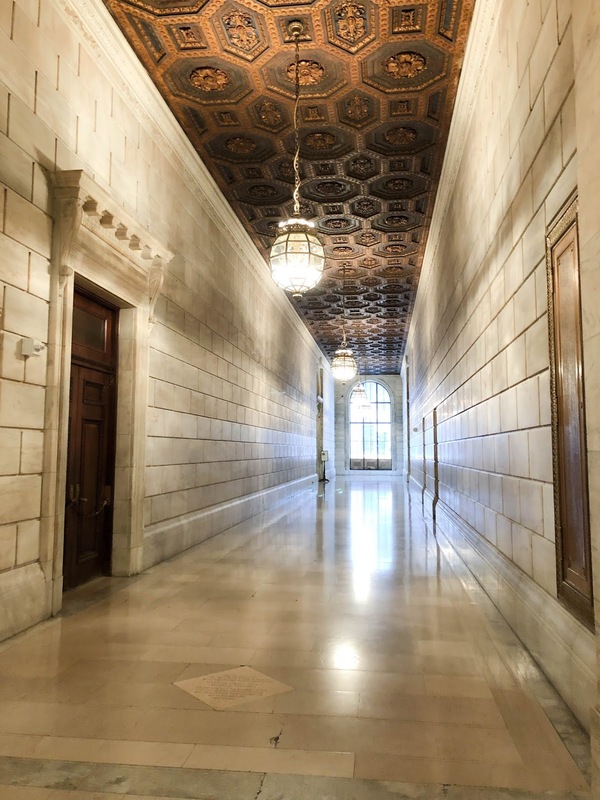 The building as a whole is absolutely stunning, and I could've easily spent all afternoon wandering in and out of each room in admiration. But we didn't have that kind of time, so next trip I'll definitely plan for more time at the library. The rest of the day was spend wandering around town. Curiosity got the best of me and I had to see thee Rockefeller Center (much smaller in person than it is on tv), and we also walked the Brooklyn Bridge, stopping for hotdogs at various street vendors along the way. 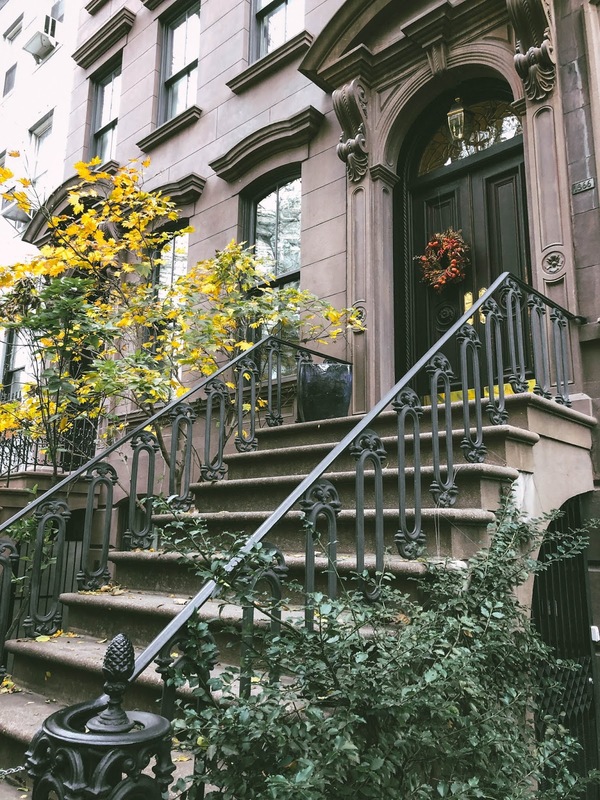 Before the day was done, I had to see Carrie Bradshaw's brownstone, and it was well worth the subway detour. 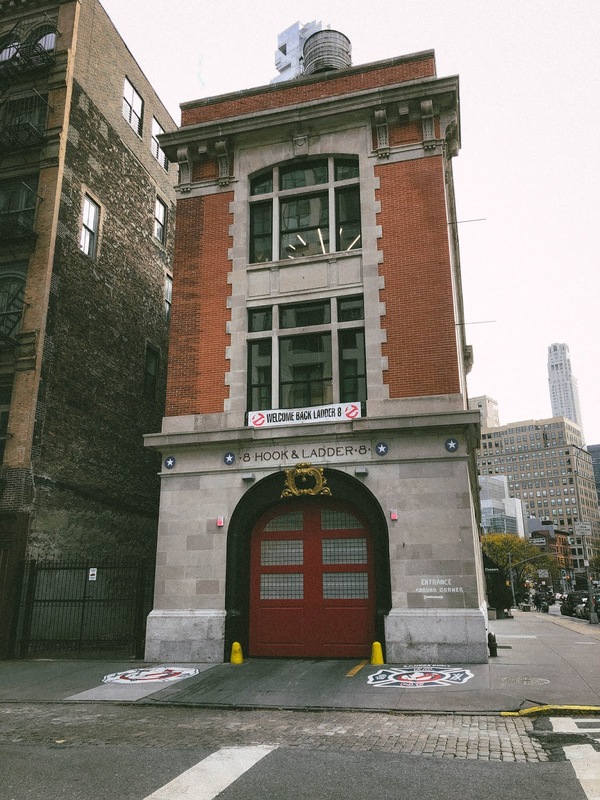 ... and J had to see the Ghostbusters fire station, which is still a working firehouse. Then we called it a wrap for the day and went back to the hotel. We had pizza and burgers delivered to the room for dinner from a nearby eatery I found on Yelp (my feet couldn't do any more walking, and room service food is overpriced and overrated). It was the perfect nightcap. The following morning we went down to the lobby for breakfast, packed our things, checked out and headed back to the airport. You pretty much see nothing but buildings and concrete when looking out the window upon takeoff from LGA. As soon as we started our descent into ATL, it was trees and greenery as far as the eye can see. I enjoy the city life; I always have, but there's something super special about having a patch of grass just a few feet away whichever way you turn. For that reason, and many others, it feels good to be home. We bought 7-day unlimited Metrocard passes to cover our transportation throughout the weekend. The only time we caught a Lyft (which I noticed was always cheaper than Uber) was to get to/from the airport. We stayed across the East River at the Boro Hotel. The rates were a better fit for our budget, and it was still a 4-star rating with great reviews. The trade off? It was a ~10 minute walk to the closest subway station, which isn't a problem if you don't mind walking. 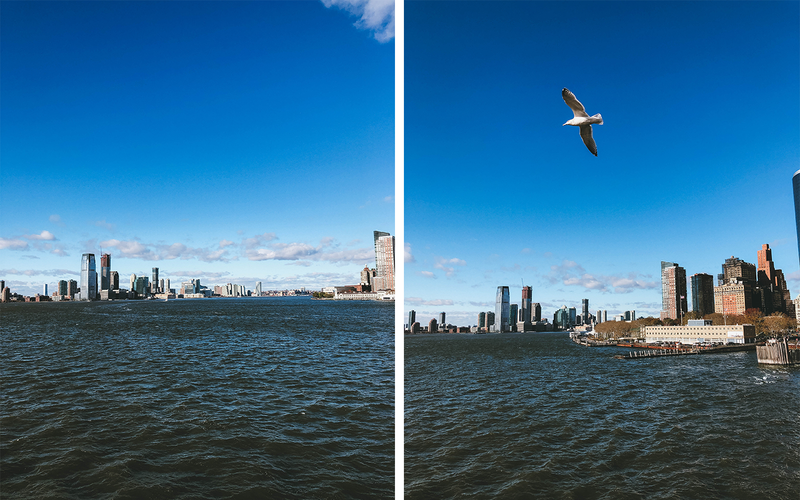 Once you're on the subway, it's only a 10-15 minute ride into downtown Manhattan. Thankfully it was also only a ~15 minute Lyft to/from the airport, so that didn't break the bank either. We didn't pay for fun, and by that, I mean I searched the internet the free activities I could find. 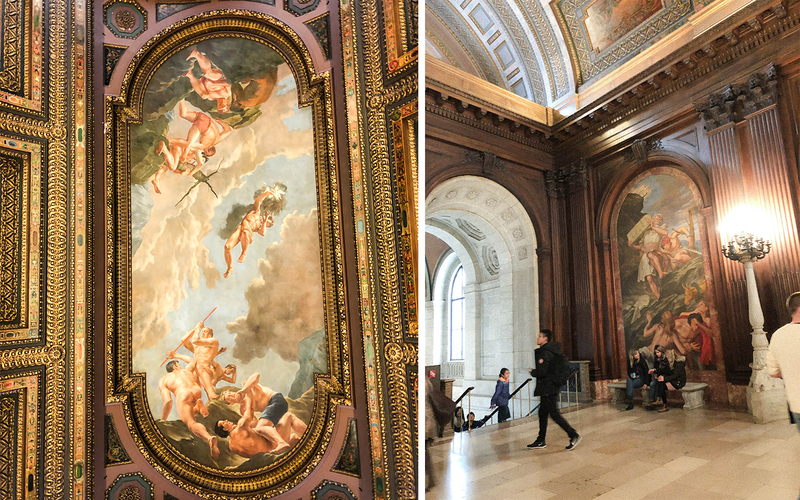 Lots of museums are free on select days, sightseeing in Central Park was free, the library tour was free, the Staten Island Ferry was free an offered great views of the city, and I let Google Maps be our tour guide the rest of the way. Not once did either of us feel like we were missing out on any fun because were weren't spending money on entertainment. The only activity I paid for was the concert, because it was the whole reason for the trip. We ate on the cheap as well. $3 pizza slices as big as my head, $2 hotdogs from street vendors on the corner, $7 burgers at Harlem Shake, snacks from Target and Whole Foods (the most popular and easily accessible grocery store around town) instead of hotel bar snacks, etc. They weren't the healthiest dietary options, but when you're averaging ~22K steps per day, who's diet is it anyway? The calories don't count and the carbs don't matter. 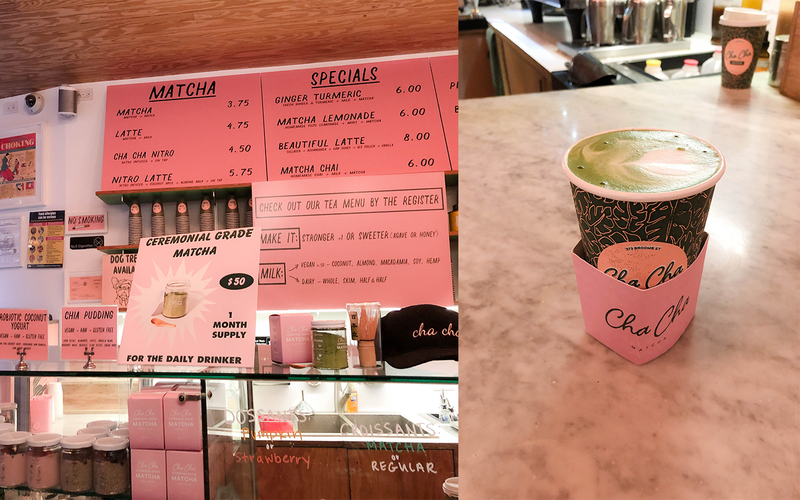 We did splurge on brunch at Sarabeth's Central Park South the first day, but the food was delicious and the service was top notch, so the $80 (cringe) was worth it... for the most part. 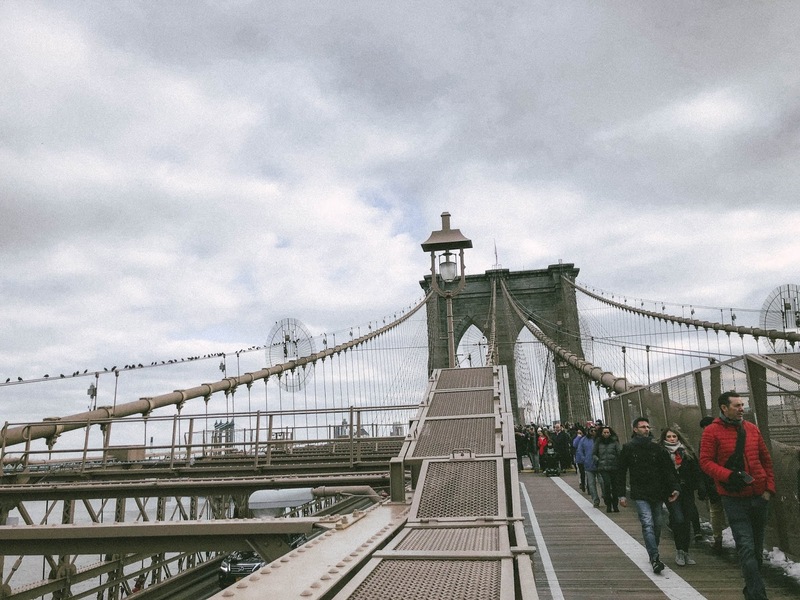 This was easily one of the cheapest vacations we've ever taken, which goes to show: last minute trips don't have to be super expensive, even if you're going to one of the most expensive cities in the country. I love the city life too no matter how chaotic it is. Oh you came to NYC. I hope you visit again. 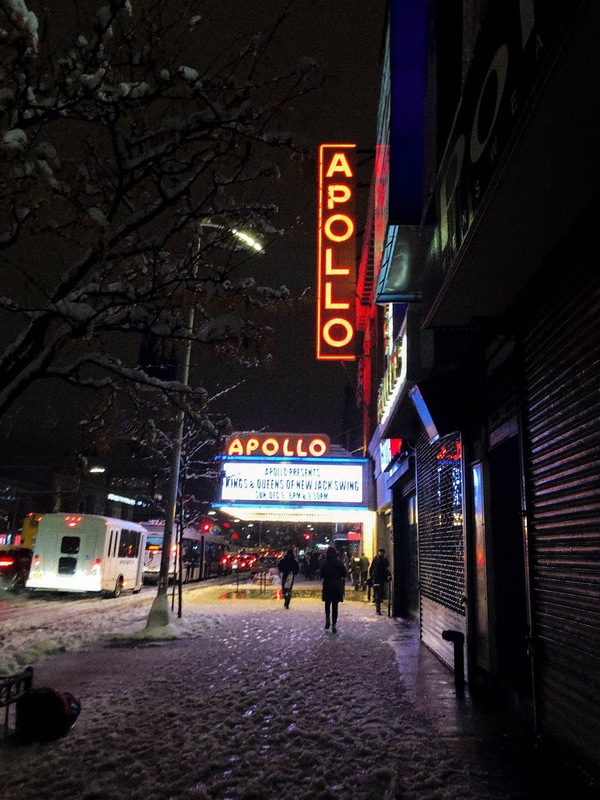 Apparently all it takes is for an artist I love to be playing at the Apollo! So I might be back sooner than anticipated, lol. This was such a perfect last minute trip. Love your tip about free fun too. With the kids, I’m an advocate of enjoying as much as the free stuff as I can lol. Yes, ma'am. Give me all the free! Wonderful recap! 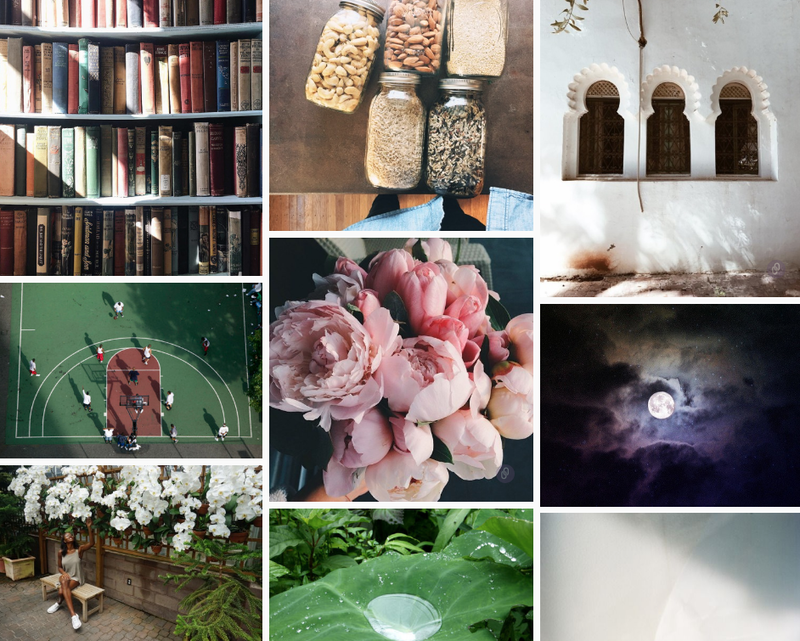 I've been thinking about whether I'm going to go to New York in May so I've been looking around a weekend travel recaps/guides here and there. I'll be returning from a long international trip a few weeks before so I'm not sure if I'd even feel like going. But your recap makes it seem that much more feasible. LOL! 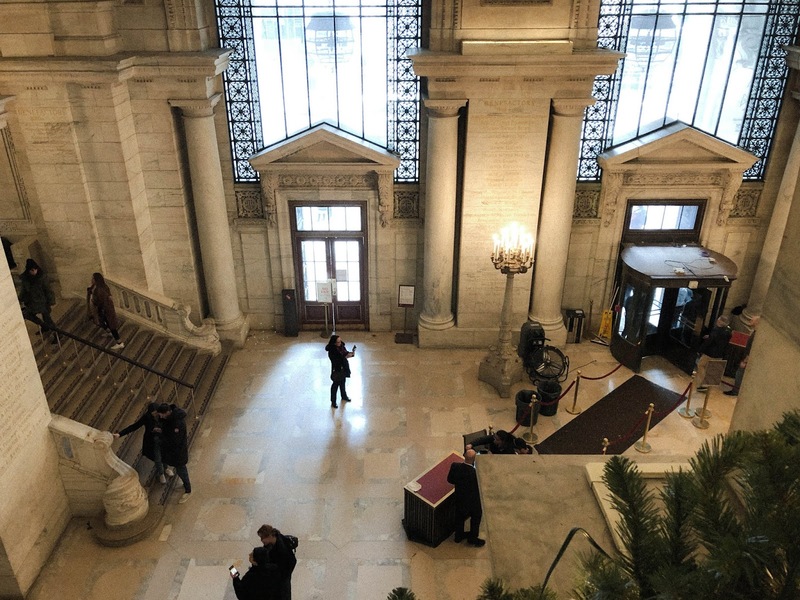 I think you'd really enjoy the NYPL, just budget enough time to explore the place - it's huge (and breathtaking)! What I loved most was how affordable the whole trip was. 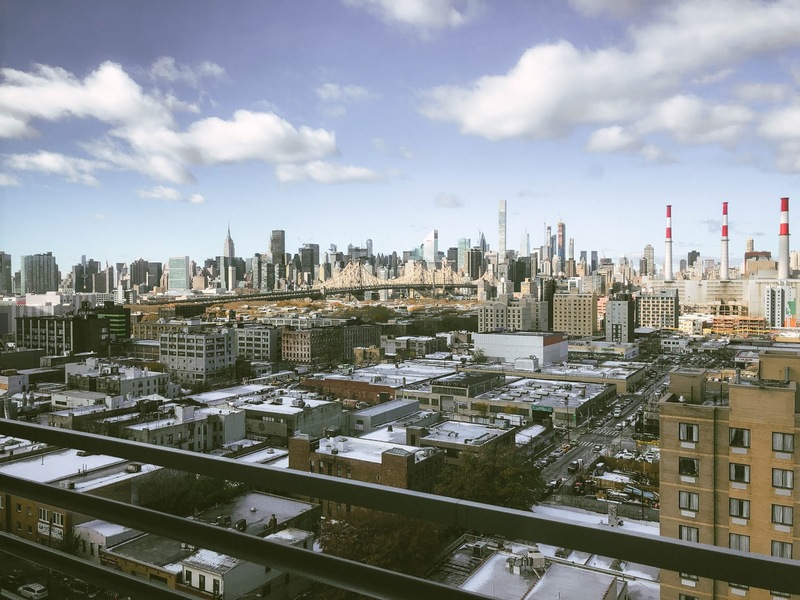 I had this idea that traveling to a big/expensive city like NYC would break the bank, but it really didn't. 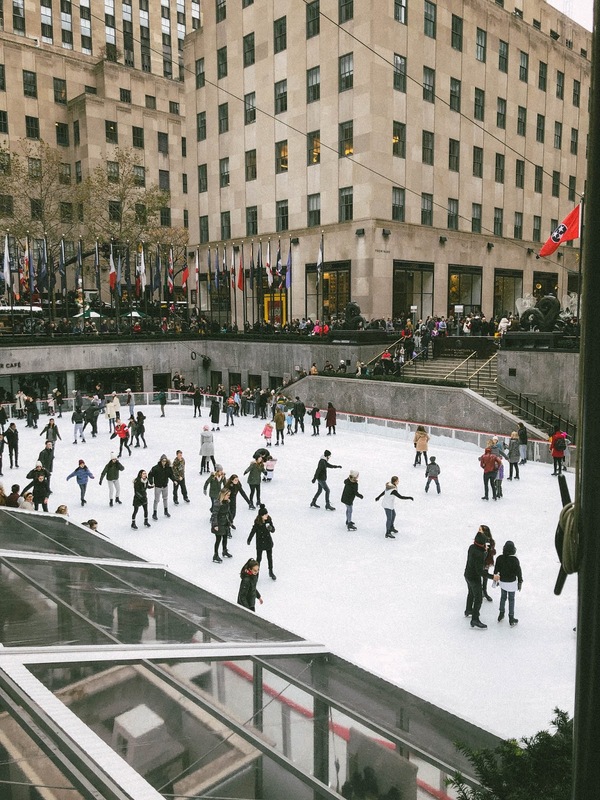 There's so many fun and cheap/free things to do around town, even when it's literally freezing cold outside. You should go! !